This year’s FRUIT LOGISTICA trade fair in Berlin (Feb 7-9) was once again a global hub for the fresh produce sector. As always, there was innovation aplenty on show – in a sector that’s finding ever more ways to serve and profit from the health and wellness revolution…. Over 3,100 exhibitors from more than 80 countries and more than 75,000 buyers and trade visitors from 130 countries attended the expo. 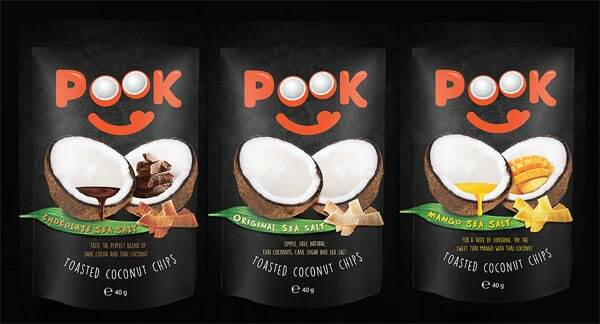 The Gold Award went to “Pook Coconut Chips” from PookSpaFoods in Germany. The crispy crisps, made from Thai coconut, are available in Original Sea Salt, Mango Sea Salt and Chocolate Sea Salt flavours. They are vegan, gluten-free and free from preservatives. The manufacturer recommends them as a snack or as a topping for salads, cereal, yogurt, ice cream, and much more. “We are a small company which set up only recently in September 2016. 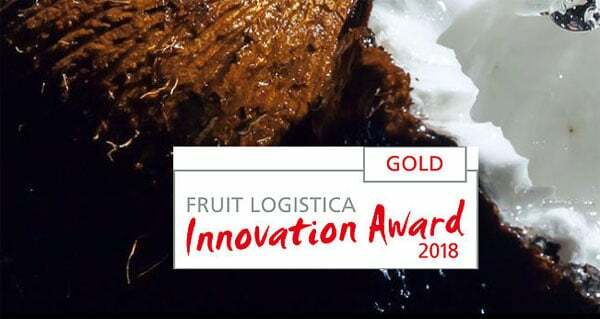 This award is a big surprise and especially important for us“, said the company’s founder, Kanokporn Holtsch. The Silver Award went to the dark brown tomato “Adora” from HM Clause from Spain. This tomato is a variant of the variety Marmande, a particularly robust old ribbed beef tomato variety that ripens very early. What sets the new Adora apart is its balanced, intensely sweet and sour taste, excellent shelf-life, firmness and good nutritional values. The Bronze FLIA went to the grass paper from the German paper mill, Scheufelen. 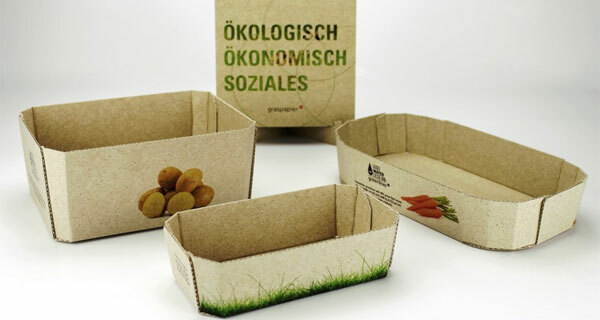 This organic packaging material consists of up to 50% fresh grass fibre and is completely recyclable and biodegradable. The use of grass fibres, a renewable raw material, should help reduce energy and water consumption. Conventional pulp fibres require 30,000 litres of water and 6,000 kW/h of energy per tonne – compared to zero litres and 150 kW/h for grass fibres. This free service offers exhibitors and co-exhibitors an opportunity to present debut products, services and novelties, and makes the show more manageable for visitors to plan their visit to the expo. Click this sample pic from this Spotlight Catalogue to view a fantastic collection of innovation…..